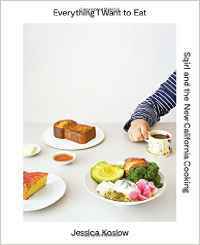 Great news on the cooking front, FOUR of our Fall cooking titles made the New York Times Best Cookbooks of the Season. Here is a link to the full article - http://www.nytimes.com. Meike Peters, the author of the acclaimed cooking blog Eat in My Kitchen, presents a cookbook as inviting, entertaining, and irresistible as her website, featuring dozens of never-before-published recipes. Meike Peters’s site, Eat in My Kitchen, captures the way people like to eat now: fresh, seasonal food with a variety of influences. It combines a northern European practical attitude, from the author’s German roots, with a rustic Mediterranean-inspired palate, from her summers in Malta. This highly anticipated cookbook is comprised of 100 recipes that celebrate the seasons and are awash with color. Indulge in the Radicchio, Peach, and Roasted Shallot Salad with Blue Cheese; Parsnip and Sweet Potato Soup with Caramelized Plums; Pumpkin Gnocchi; mouthwatering sandwiches like the Pea Pesto and Bacon with Marjoram; and seafood and meat dishes that introduce tasty and unexpected elements. Meike Peters’s famous baked treats include everything from pizza to bread pudding, and perfect cookies to sumptuous tarts. Also included are many of her fans’ favorite recipes, including Fennel Potatoes, Braised Lamb Shanks with Kumquats, and a Lime Buttermilk Cake. Six “Meet In Your Kitchen” features include recipes by and interviews with culinary stars Molly Yeh, Yossy Arefi, Malin Elmlid, the Hemsley sisters, and more. Followers of Meike Peters will be thrilled to have her exquisitely photographed recipes in print in one place, while those who aren’t yet devotees will be won over by her unpretentious tone and contagious enthusiasm for simple, beautiful, and tasty food. Organized by ingredient with dishes suited to every skill level--from beginners to confident cooks--DEEP RUN ROOTS features time-honored simple preparations, extraordinary meals from her acclaimed restaurant Chef and the Farmer, and recipes that bring new traditions to life. Home cooks will find photographs for every single recipe. Ten years ago, Vivian opened Chef and the Farmer and put the nearby town of Kinston on the culinary map. But in a town paralyzed by recession, she couldn't hop on every new culinary trend. Instead, she focused on rural development: If you grew it, she'd buy it. Inundated by local sweet potatoes, blueberries, shrimp, pork, and beans, Vivian learned to cook the way generations of Southerners before her had, relying on resourcefulness, creativity, and the old ways of preserving food. DEEP RUN ROOTS is the result of those years of effort to discover the riches of Eastern North Carolina. Like The Fannie Farmer Cookbook, The Art of Simple Food, and The Taste of Country Cooking before it, this is landmark work of American food writing.